Dolly Parton is the most honoured female country performer of all time. Achieving 25 RIAA certified gold, platinum and multi-platinum awards, she has had 25 songs reach number 1 on the Billboard Country charts, a record for a female artist. 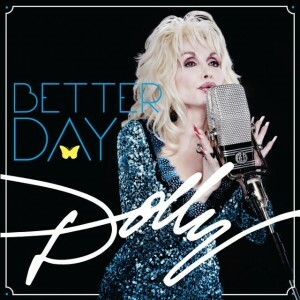 On 29 August 2011, Dolly Parton, the most honoured female country singers of all time returns with a much-anticipated album of all-new studio material ‘Better Day’. Coinciding with a spectacular World tour that comes to the UK on 20 August, ‘Better Day’, released through Sony Music, is the follow-up to her critically acclaimed ‘Backwoods Barbie’ album in 2008. The ‘Better Day’ world tour launches on 17 July in Knoxville in her home state of Tennessee and will be highlighted by two shows (22 and 23 July) at the historic Hollywood Bowl in Los Angeles. Next, the tour moves overseas starting 20 August and will feature a pair of shows (7 and 8 September) at the O2 Arena in London. In 2008, Dolly achieved accolades for what was her most successful European tour of her 40-plus year career, where she performed 17 shows to over 170,000 fans, surpassing her then-best 2007 European tour, where she played 21 shows for over 140,000 people. Each of these treks grossed in tens of millions of dollars and established Dolly as Europe’s favorite and most successful country artist . Dolly Parton is the most honoured female country performer of all time. Achieving 25 RIAA certified gold, platinum and multi-platinum awards, she has had 25 songs reach number 1 on the Billboard Country charts, a record for a female artist. She has 41 career top 10 country albums, a record for any artist, and she has 110 career charted singles over the past 40 years. All-inclusive sales of singles, albums, hits collections, paid digital downloads and compilation usage during her Hall of Fame career have reportedly topped a staggering 100 million records world-wide.She has garnered 7 Grammy Awards, 10 Country Music Association Awards, 5 Academy of Country Music Awards, 3 American Music Awards and is one of only five female artists to win the Country Music Association’s Entertainer of the Year Award.